What does it mean to feel the Spirit? How does one recognize the promptings when they do come? Revelation comes as words we feel more than hear. Nephi told his wayward brothers, who were visited by an angel, “Ye were past feeling, that ye could not feel his words. 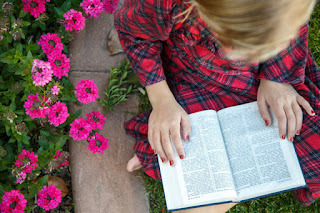 The scriptures are full of such expressions as “The veil was taken from our minds, and the eyes of our understanding were opened,” or “I will tell you in your mind and in your heart,” or “I did enlighten thy mind,” or “Speak the thoughts that I shall put into your hearts.” There are hundreds of verses which teach of revelation. President Marion G. Romney, quoting the prophet Enos, said, “While I was thus struggling in the spirit, behold, the voice of the Lord came into my mind.” Enos then related what the Lord put into his mind. There is also a sense of unity that comes with the outpouring of the Spirit. As one becomes united with the Spirit, he or she also becomes united with fellow members and leaders—“fellowcitizens with the saints, and of the household of God” (Eph. 2:19). Consider the experience of an early convert, Luman Andros Shurtliff, who went to Kirtland to see if the Church was true and ended up getting baptized. Like the Sister I home taught so many years ago, he had some questions about how to recognize the Spirit when it came into his life. Following baptism, he nearly faltered until the converting power of the Spirit entered his life and he recognized it. In response to a request by the Twelve Apostles for instruction, Joseph taught, “The best way to obtain truth and wisdom is not to ask it from books, but to go to God in prayer, and obtain divine teaching” (History of the Church, 4:425). This does not mean we should have no interest in Church history or in reading these accounts. I love Church history and my joy when visiting Church historical sites is intensified by knowing their background. But the more lasting impressions are from what is felt there, rather than what is remembered. Here is a Gospel truth: Remember that in the Gospel of Jesus Christ, the plan has always been short term discipline and long term happiness. The plan for Satan has always been short term happiness, long term misery, guilt, pain, etc. What does a spiritual confirmation feel like? If that Sister that I home taught were here with me now, I would tell her that it’s the feeling you have when you read the Book of Mormon or go to Church. It’s the feeling you have when you go to the Temple or talk of heavenly things with your parents or a valued friend. Learn to recognize it. More importantly, learn to follow it.